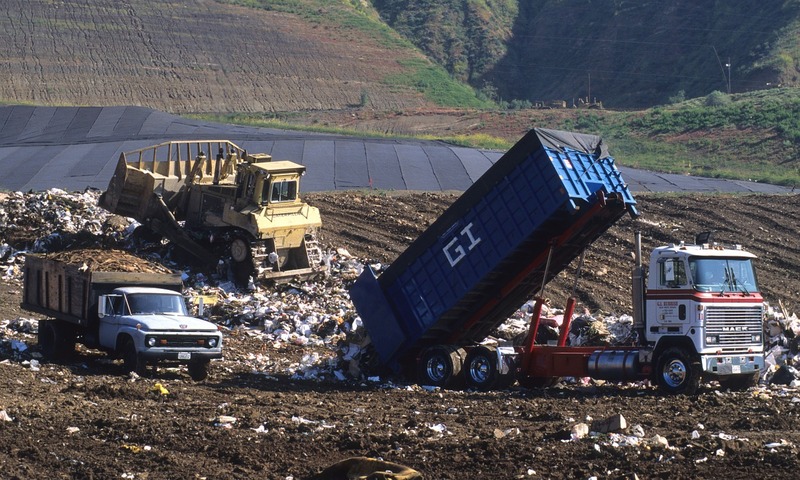 Just like Thanksgiving, Christmas has its own special (and sometimes daunting) waste management challenges. After all the presents are exchanged and the dinner is finished, you have a veritable mountain of boxes, paper, and food waste. And then there’s the tree, if you got a real tree this year. 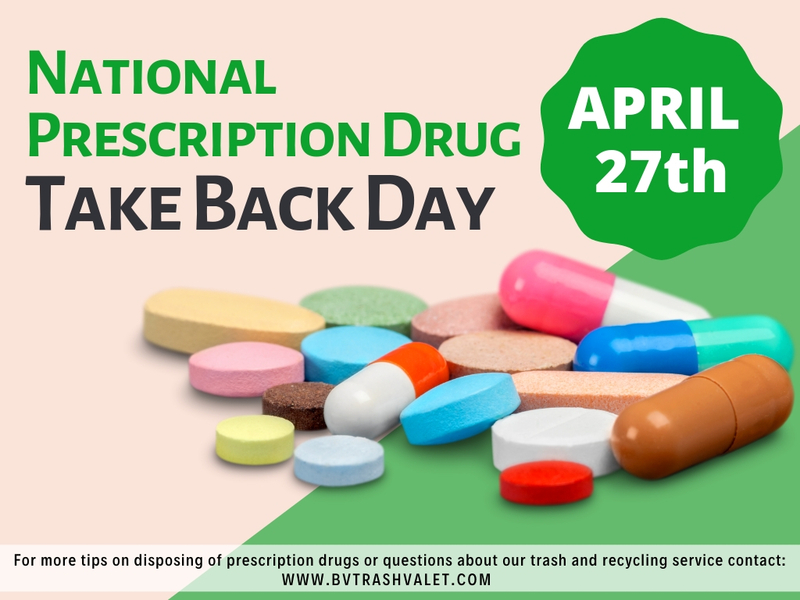 It’s hard enough to get all of it out of your house, much less to put everything in the right bin. But if you prepare beforehand, you can manage your Christmas clean-up and stay smart about your waste management. Here are our tips. It may surprise you to hear that wrapping paper is often not recyclable. Most wrapping paper contains non-paper additives and is so dry and thin that it’s difficult to use again. Ask your local waste management company whether they accept wrapping paper or whether it needs to go in the trash. If you want to avoid the waste, consider buying recyclable wrapping paper. 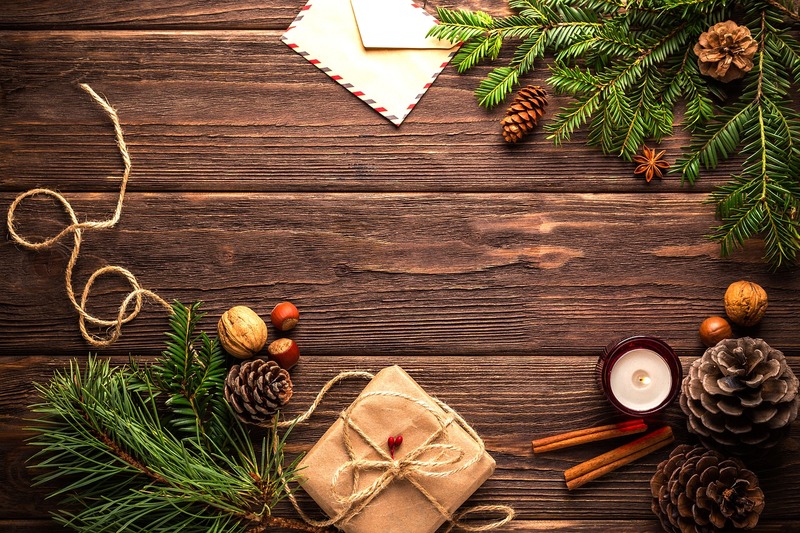 Wrapping paper made with recycled paper is an especially smart choice, since not only can it be recycled, you’re not contributing to any waste with your purchase. 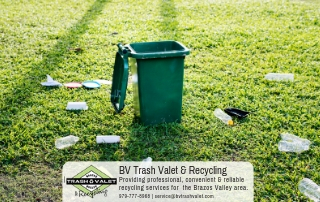 As far as the the rest of packaging waste, cardboard boxes, paper gift bags, and tissue paper are all recyclable. You might want to save some of those boxes for next year, however–if they weren’t torn to shreds in the opening process. Since it’s similar to Thanksgiving dinner, our tips here are much the same as we offered last month for Thanksgiving clean-up. Aluminium dishes will cut down your cleaning time and can be easily recycled as long as you rinse them out first. Leftovers can be donated to food banks, used as compost, or even saved in the house for future meals. Don’t be afraid to take something out of a can for Christmas dinner. We won’t judge you and cans can be recycled, so the environment will thank you. Oh, Christmas tree. Everyone loves to have a real Christmas tree at this time of year, but it’s undoubtedly the most difficult part of the clean-up process, which is why your neighbors probably wait until spring to do it. No matter how careful you try to be, ornaments will probably break and pine needles will litter the floor. And how do you dispose of a tree, anyway? Let’s start with the ornaments. Often, when an ornament shatters, that’s it, but there are a few creative things you can do with the shards after you’ve carefully cleaned them up. You can have it ground down to create glitter or use the broken pieces to make jewelry. This article has some suggestions of upcycling options for Christmas ornaments. Pine needles can be collected and turned into mulch or compost. Finally, the tree itself. Chances are, your local waste management provider sets aside a time each year for Christmas tree pick-up. Call them so that you can know when to drag that tree to the curb. If they don’t offer Christmas tree pick-up, find a tree mulching service that can recycle your tree. 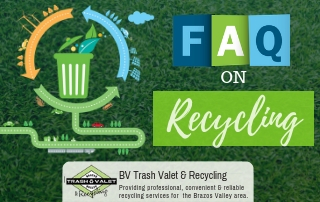 This holiday season, remember that Brazos Valley Trash Valet & Recycling accepts more materials than any of their competitors, including plastics 1-7. 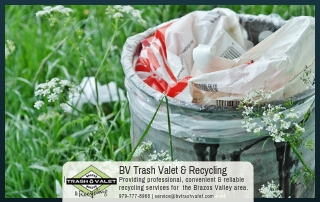 If you live in Brazos Valley outside of College Station city limits, Brazos Valley Trash Valet & Recycling can help take care of all your Christmas waste management needs. Call them at 979-777-8968.